AFTER receiving a fitting for the Titleist 915 D3 driver alongside Titleist fitting and sales rep Ben Welch at Silvermere Golf Club, it was onto the Titleist 915 F and Titleist 915 Fd fairway woods. Like both 915 D2 and D3 drivers, the 915F and 915 Fd feature the brand new ARC (Active Recoil Channel) on the sole, but this time, in a much more forward position than the driver. The ARC also curves itself round the full length of the face, unlike its big brother. ARC is all about promoting lower spin and more speed. With Active Recoil Channel in place, Titleist is able to achieve more consistent spin and speed across the face. It's deep, long and forward positioned in the fairway woods to maximise effectiveness and help control the spin. On top of the most notable feature, ARC, the 915 fairways feature Titleist's thinnest ever high strength carpenter steel face at 2.0mm as opposed to the 2.4mm of the 913. This helps deliver an increased ball speed. In terms of appearance, it's interesting to note how Titleist has made the F heads a little larger than the Fd this time around. The 915 F (175cc) features a full pear profile and the 915 Fd is now a more traditonal pear shape. And hat tip to anyone who's noticed the change in alignment. Yup, something you guys know I love talking about. The triangle has reversed direction. Nice. Placing both F and Fd heads in the palm of my FJ StaSof, contemplating which I'd prefer wrenched onto my Diamana S+ Blue 70 stiff shaft, I favoured the high MOI design of the F as it provided me with a little more confidence at address and as I'd quickly find out, a lot more forgiveness. 915 Fd also only comes in lofts of 13.5- and 15-degree, and when it comes to getting the ball airborne with a fairway off the deck, it's fair to say I need a little more help than that. 915 F comes available in lofts of 13.5-, 15, 16.5-, 18- and 21-degree. 915 Fd certainly offers a little more workability given the smaller head on offer but the larger head of the 915 F appeared easier to get the ball airborne easier so I stuck with that. Testing out the new Titleist 915 F in a brand new offering of 16.5-degree, I instantly realised the effectiveness of ARC, particularly in terms of lowering spin and adding distance to my game. Not only had I seen ARC in action ten minutes previous with the 915 D3 driver, but perhaps even more so with the fairway wood. 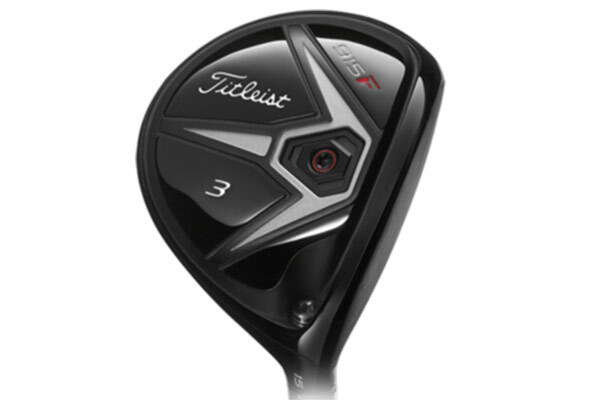 Titleist 915 F is seriously long, and much longer than the 913 F I tested two years ago. It's so long in fact, my average of 20 balls (10 off a tee peg and 10 off the deck) reached close to driving distance. With the 915 F (16.5-degree) my average carry was 234 yards and 256 yards distance. With 913 F (17-degree), my average carry was 211 yards and 240 yards distance. That equates to a mammoth 16-yard gain in distance. Launch angle was also up 0.4-degree to 13.1-degree. To put this total distance into perspective, I was carrying the ball further by two yards with the 915 F 3-wood than I was with the 10.5-degree Titleist 915 D3 I was fitted to (232 yards carry, 263 yards distance). Don't ask me why exactly... I'd obviously started warming up. The improvements don't stop there. ARC was clearly working its magic, once again, dropping my spin by 400 RPM to just under 3000 RPM. It was also generating me 5mph extra ball speed, sailing me up to 145mph. Shot were pleasingly going straight over the left corner of the 150-yard marker with a touch of fade. Another improvement away from shot data, is the sound and feel of this product. For me, it's a little purer sounding than before. This has much to do with the thinner high strength carpenter steel face. Ben told me the aesthetics team at Titleist spent a lot of time working on the sound of the new 915 woods. In terms of Titleist's SureFit Tour hosel, it's easy to see why this has become an industry leading innovation. SureFit just makes things so much simpler for the customer. For the average golfer who isn't a golf geek, loft, lie and face angle adjustments can look a bit like an algebra equation, but not with SureFit's easy-to-understand 16-setting grid that allows the customer to set the loft and lie independently to optimise ball flight. SureFit allows you to raise or lower the loft and open or close the face depending on your preference. The hosel sleeve is adjustable by changing the club to one of 16 settings; one ring has settings of 1, 2, 3 and 4, while the other has settings of A, B, C and D.
After looking at my first few shots with my current fairway wood, Ben knew exactly which code to plug me in to with the 915 F and that was C1. This means we lowered the loft by .75 to keep the spin down and were .75 flat in terms of lie to provide me with my desired left-to-right ball flight. 915 F is of the longest fairway woods I've ever tested, if not the longest. It was great to see a dramatic increase in my ball speed and 16 yards extra distance against the former 913 F.
The product looks exquisite with its slightly larger pear 175cc profile, fresh new looks on the sole with ARC technology and the direction aid for a fairway wood is always a bonus - something not every manufacturer designs. It sounds ever so sweet, particularly when catching it out the middle, up there as one of the most accurate woods I've tested in my three years in the job and it also happens to travel a mile, particularly off a tee peg. It's evident Titleist has spent the best part of five years designing the ARC and taking time to bring it to the market. The ARC on the 915 F is positioned slightly further forward than in the driver to help control spin better, and that also increases ball speed as the crown and sole flex and recoil. A very forgiving fairway wood that could potentially become an alternative for the driver given the added distance I was obtaining. The slightly bigger head on the 915 F than previous Titleist F lines means you've got a bigger sweetspot to get the ball up and out there. In terms of a niggle, the ARC isn't filled with anything so there could be some debris issues like I recall with the original TaylorMade RocketBallz three years ago, but that's all I can really find. Not the cheapest product out there at £220 but I can very much see this flying off the shelf as fast as it does off the club face.